looked as good as the picture. came fast. my husband loved them. Great price. 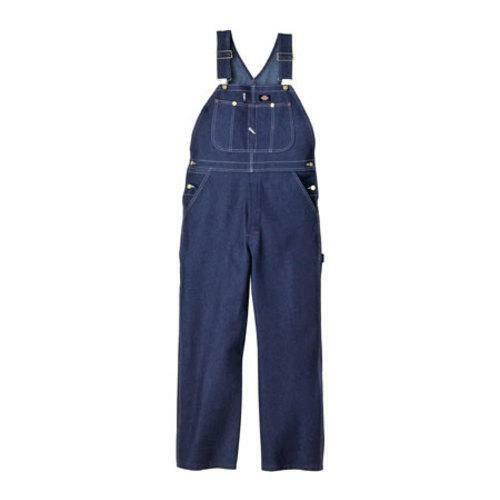 These bib overalls from Dickies are exactly what you need to get the job done in comfort and ease. They feature a zipper fly, cross-over high-back style, a large bib pocket with pencil division and watch pocket, a hammer loop, a double tool pocket and triple stitched seams for lasting durability. I bought 2 pair for my husband.. He loves them and wears them often for yard work. The seams are double stitched and durable. The inseam seems to be a lot longer that what is posted Still a great buy. I love these overalls. They are made so well that I have a feeling they will last me the rest of my life! I expected them to shrink more but that's ok. I have long legs. These overalls are made very well... Feels like they'll last forever. Bought my husband for birthday. He loves them for the fit long zipper and works great for larger guys. He’s 6’4” 225lbs. The quality of fabric is top quality. Looks like a keeper washed twice so far and they came out great. Once again Overstock came through with a great hard to find gift in the right size. I bought the wrong length but otherwise the quality and fit is good with the husband. Perfect for a 6ft 6 guy and looks great. My husband loves these and they are hard to find locally. I have long legs. I miss having overalls.